Every cook needs a go-to barbecue rub that they can use all summer long. 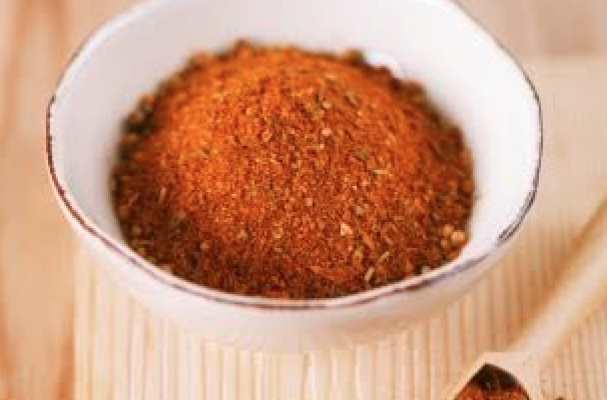 This do-it-yourself seasoning blend is a sweet and smoky mix of paprika, cumin, sugar, onion powder, garlic powder and more. It is delicious sprinkled on chicken, fish, tempeh or even fresh vegetables. Getting your hands on a versatile yet easy barbecue rub will make outdoor cooking that much simpler. I like to make a big batch and store it in a large jar so it is literally at my finger tips. For the best results, use the freshest spices you can get your hands on. Step 1: In a medium bowl, stir to combine paprika, sugar (or agave, vinegar, and oil), cumin, salt, pepper, onion, and garlic. Step 2: To use, evenly rub mixture over the surface of the meat. Place meat uncovered on a rack above a sheet pan in the refrigerator for at least 8 hours and up to 24 hours to allow the rub to dry out, ensuring a crisp, flavorful crust. Roast, bake, or grill meat as directed in individual recipes (note: do not cook the agave rub version at high heats, as it’s more prone to burn). Step 3: Store leftover dry rub in an airtight container at room temperature. For the agave rub, store in an airtight container in the fridge up to 6 weeks. Culinary tip: For high heat grilling, stick with the traditional Sugar In The Raw®. For baking at about 350˚F or grilling over indirect heat, try swapping in Agave In The Raw® for an even sweeter, smoky flavor.